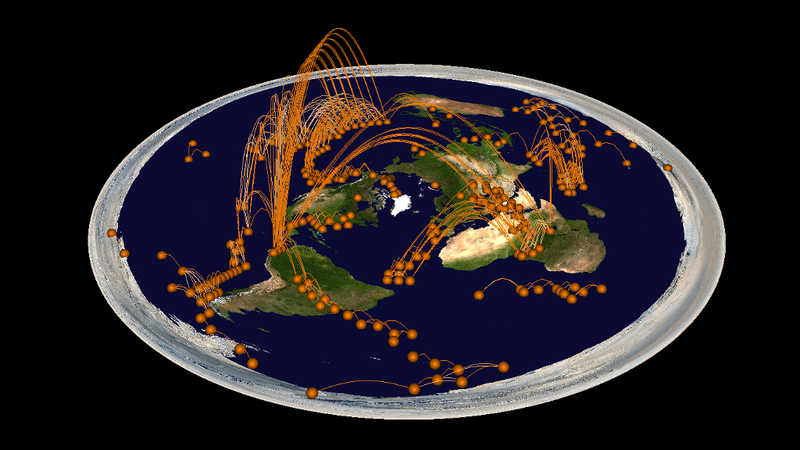 GTX is an interactive visualization software for dynamic geo-referenced data such as attributed 2D or 3D trajectories of moving objects or geo-referenced network data. 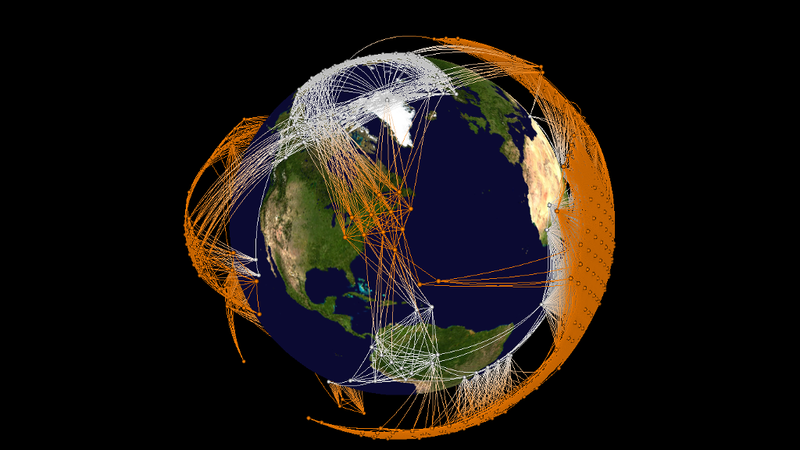 Using C++ and modern OpenGL rendering for optimized performance, it allows for the visualization and interactive exploration of large spatio-temporal data sets in geographic contexts. 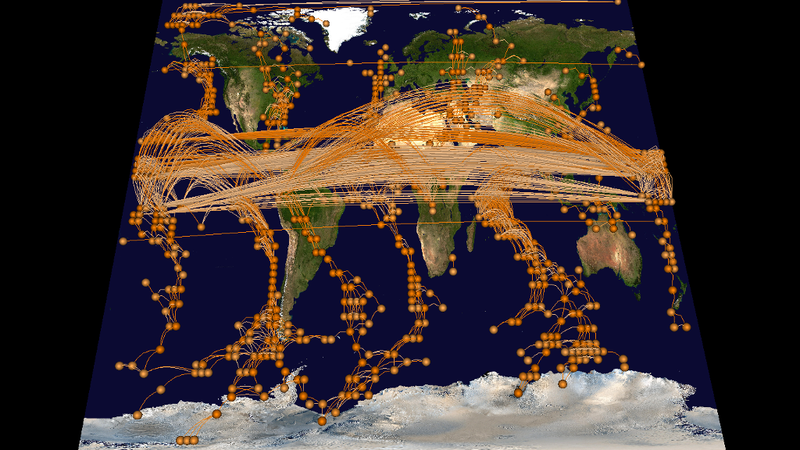 GTX is an interactive tool and library for the interactive visualization of large spatio-temporal data sets in geographic contexts. 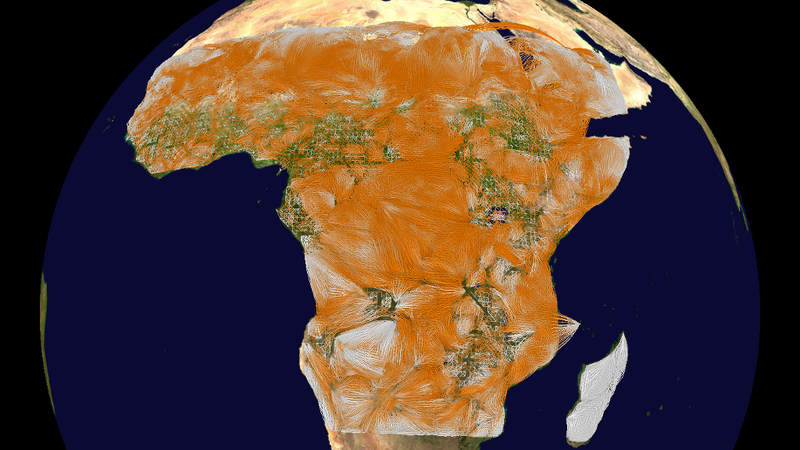 It provides flexible cartographic information at different levels focused on interactive 3D visualisation of large time-dependent data sets. 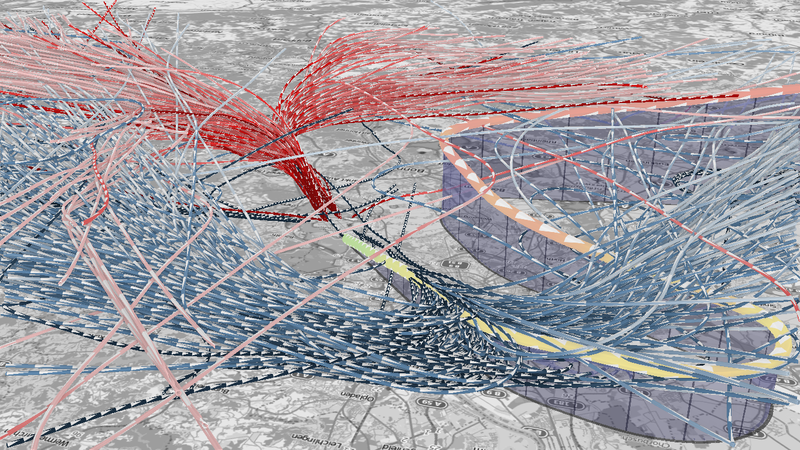 GTX has been developed as a visual analytics tool for 2D and 3D trajectories of moving objects. 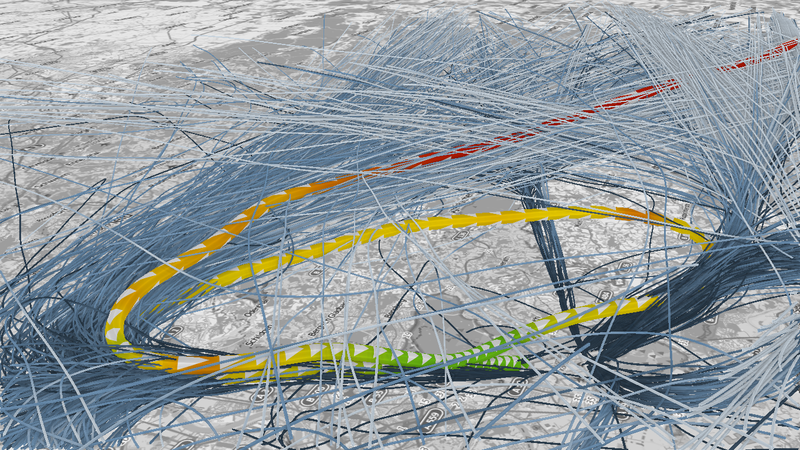 It supports visualization of large amounts of movement trajectories and enables interactive exploration by means of filtering, selection, and interactive attribute mapping. 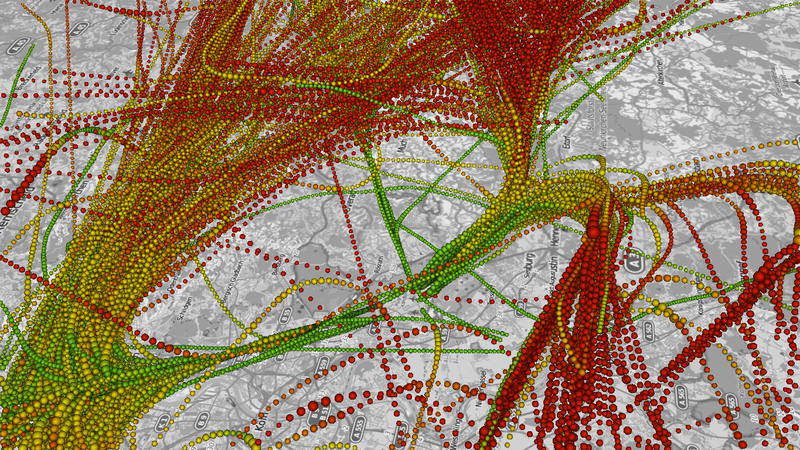 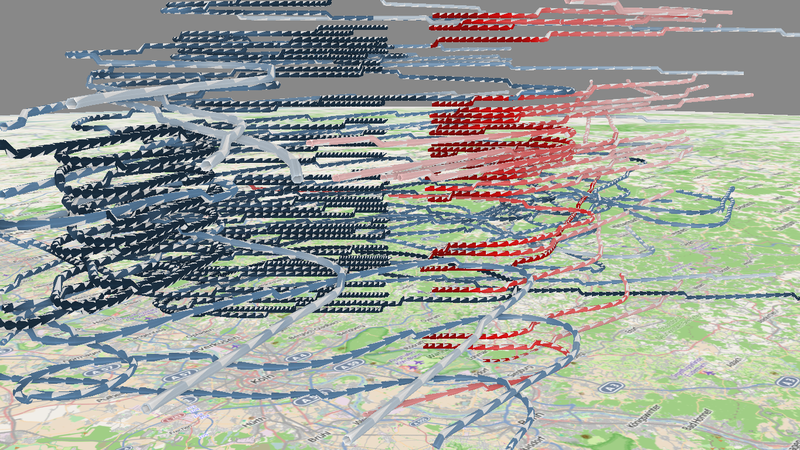 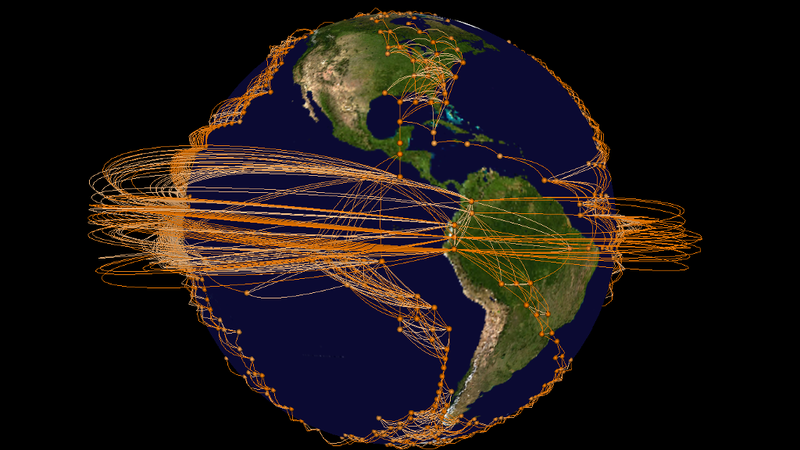 GTX has been developed to support visualization of large climate networks. 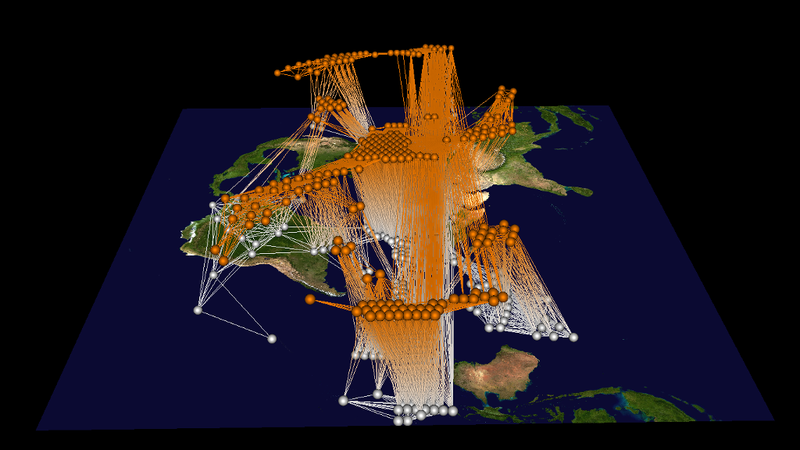 It is able to process up to 1,000,000 edges at interactive frame rates and supports embedding into 3D globe representations and several 2D geographic projections.